Aberdeenshire Council’s waste team was alerted to the “disturbing” discovery at the rear of Portlethen Swimming Pool, which is part of the town’s community campus, a few days ago. A member of staff at the school found the syringes and raised the alarm. The authority has now removed the needles and will monitor the site to ensure it does not become a dumping ground for injecting drug users. North Kincardine councillor Ian Mollison branded the people responsible as “thoughtless” as well as condemning their lifestyle choice. He said: “It’s quite disturbing and disappointing something like this has taken place. “No doubt it happens in communities across the country, but even so it’s still disappointing that people find that is the style of life they wish to pursue. 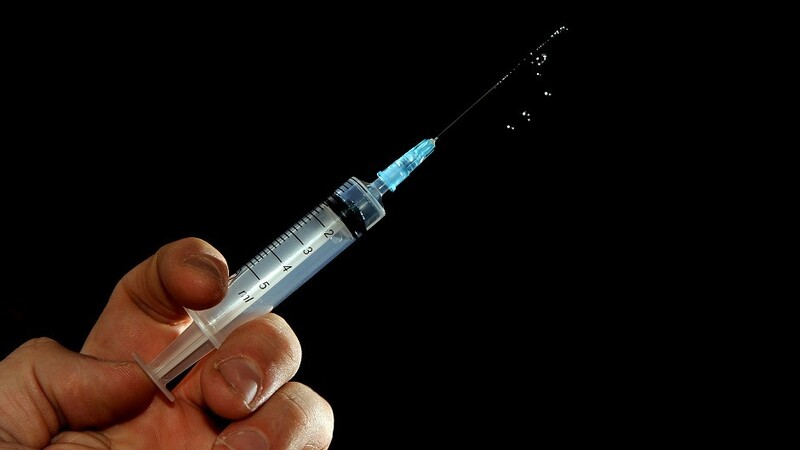 Figures released last year revealed that almost 1,000 syringes discarded by drug users were being found by members of the public on the north-east’s streets every year, according to new figures. A total of 658 incidents, involving at least 2,811 needles, were reported to Aberdeen City, Aberdeenshire and Moray councils since April 2015. The numbers of reports have been dipping in recent years which health bosses have attributed to a change in culture with injecting drug users feeling they can safely use the network of needle exchanges across the region. The authority has confirmed action has now been taken by its officers. A spokeswoman said: “We can confirm that a number of needles were removed from the site and disposed of by our waste team.